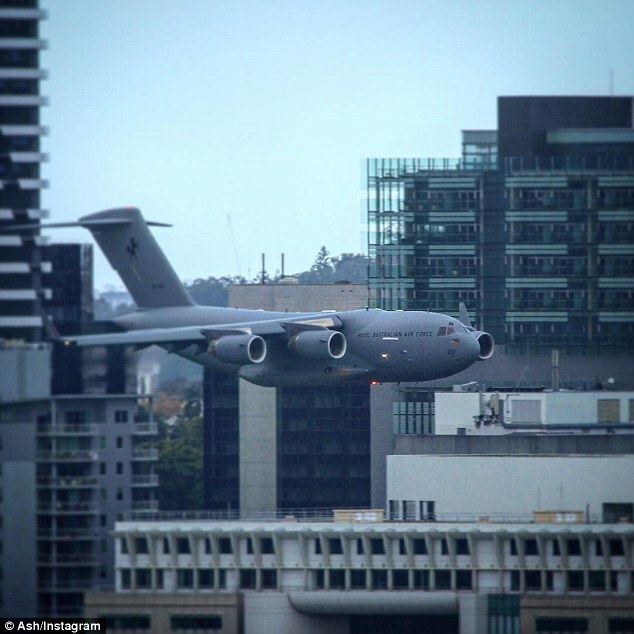 Office workers were left terrified after a Royal Australian Air Force plane flew just metres from high-rise buildings during a major festival. 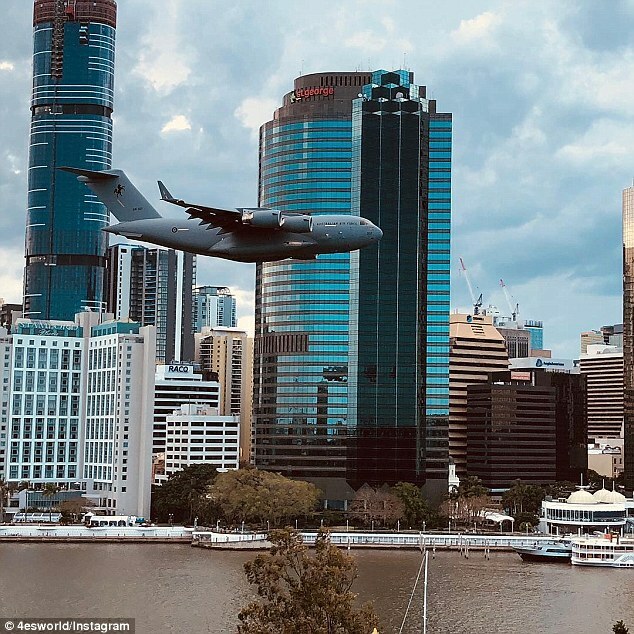 The Boeing C-17 plane was part of Brisbane's iconic Riverfire at the South Bank parklands. Footage shows the giant aircraft flying through the city towards the skyscrapers, with one spectator heard calling it '9/11 stuff' as the plane banks upwards at the very last minute to avoid the buildings. The stunt has been slammed on social media as 'unnecessarily stupid and dangerous'. 'All it would take is a small mistake and those buildings and people would be toast,' one person wrote. 'I mean it's cool and stuff, but that could've gone very, very, VERY wrong,' another added. Some people jumped to the RAAF's defence, saying that a great deal of planning would have gone into the execution of the stunt, adding that they wouldn't 'just wing it'. 'Unless both pilots had a synchronised heart attack or catastrophic plane failure, nobody was in any danger,' they wrote. 'I am not saying this is not well thought out,' another responded. Riverfire happens every September in Brisbane to celebrate the end of Queensland's three week arts and cultural festival with a day-long concert as well as aerobatics and flypasts from the Australian Defence Force.